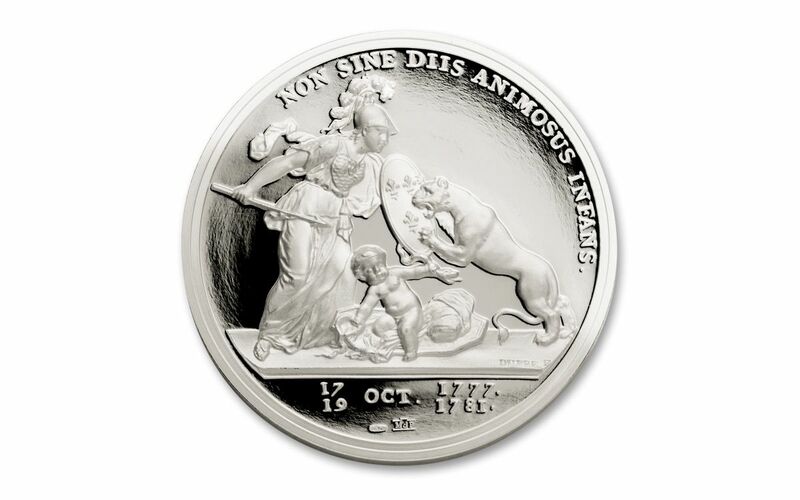 This coin was struck in 2015 to commemorate the original - which was struck during the time of the American Revolution. 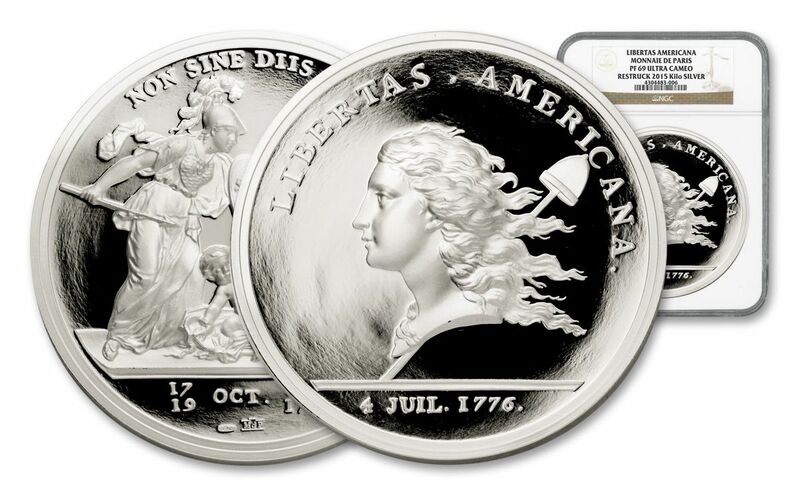 Each Libertas Americana Kilo has been certified by NGC (Numismatic Guaranty Corporation) to be in Proof 69 (PF69) condition. 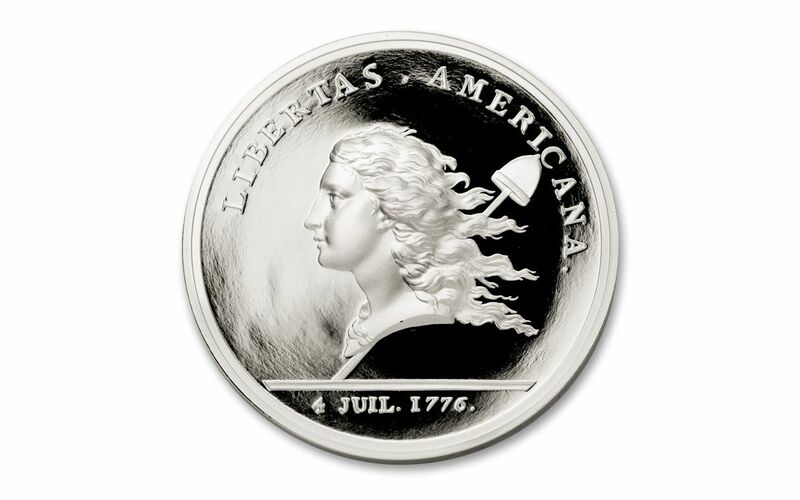 Each medal will arrive in a wooden presentation case with: a Libertas plaque on the cover, a Paris Mint numbered certificate of authenticity, and 29 page booklet about the Libertas Americana Medal.